The Seine River is one of the emblems of France and has a millennial history of the local European territories while complementing the unique atmosphere of the well known and large French cities. Seine River runs north of the country, originating near the city of Dijon. The Seine then passes through the capital, Paris going on to eventually empty into the Atlantic through the estuary. One of the legends around the River Seine tells how, Jeanne d'Arc was burned at the stake, and that her ashes were sprinkled in the river, although its remains have been preserved to this day. Seine is around seven hundred and eighty kilometers long; it is deep and a navigable river, which cuts many densely sloping hills of the Paris Basin. Seine is an important transport artery not only within France but also for river trade all over Europe. Along the Seine are so many bridges and know one yet has established their exact number. We do know that there are 37 bridges over the Seine only in the region of Paris, and dozens more were erected around the French capital. The most famous among them are the Pont Louis-Philippe and Pont Neuf which are the oldest of them and dates back far in 1607. Outside the region of Paris, one of the best known Seine bridges is located, Pont de Normandie, and one of the longest cable bridges in the world that links the Le Havre and Hinfleur. 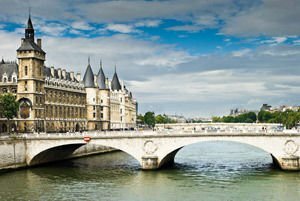 On the river Seine is the historic island Cité, which is considered to had first-born the French capital territory and which today is home to the magnificent Cathedral of the Holy Virgin, or better known as Notre Dame. It is unlikely that Paris would have a romantic aura, if it was not home to the River Seine. Thanks to it the coast of the river is one of the most popular places for tourists in the French capital. 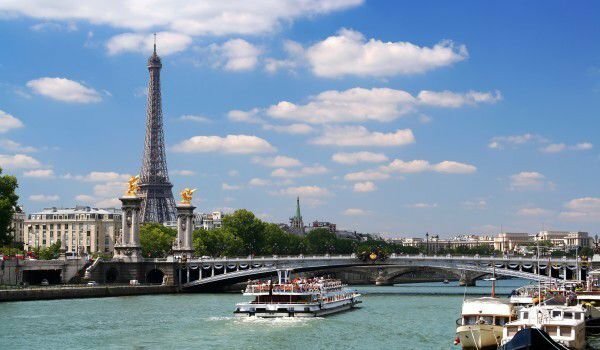 Seine River is constantly presented as a natural and romantic background for different photos of Paris, and many film productions. Etymology of the name Seine comes from the Latin word Sequana, which is its Romantic version of the Celtic-Gallic word Sicauna, which translates as "sacred river". Others are of the opinion that Sequana is the Latin version of Issicauna, which is the diminutive of Icauna, which was one of the names of the fondling Yonne River. Ancient Gauls believed Seine is a tributary of Yonne. In 1991 the coast of the Seine in Paris, was included in the UNESCO list of world cultural heritage. During the 19th and 20th century, the River Seine was the inspiration for the wonderful works of many great painters such as Claude Monet, Camille Pissarro, Henri Matisse, Carl Fredrik Hill and many other more. There are many curious facts connected with the Seine. For example, in his will, Napoleon wished after his death, pre 1821, to be buried on the banks of the Seine. This is his wish, albeit posthumously, and not his place. Some of the victims of the massacre of Paris in 1961 found dead, were thrown into the river waters from Point Bridge Saint-Michel. In 1910 the level of the Seine rose 10 feet above normal, resulting in the tremendous flooding of all Paris and forcing terrified inhabitants to hide in emergency shelters. This was the biggest flood of the city. The River Seine is one of the "favorite" places of Paris for suicide. In 2007, 55 bodies were removed from the water, and in 2008 a popular supermodel's body was found in the Seine. For an interval of six years over 306 bodies of corpses were found in the river.